To examine peri-operative complications in patients undergoing laparoscopic excision of deeply infiltrating endometriosis (DIE). 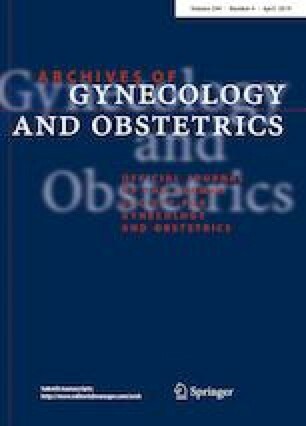 This was a prospective study of a case series of women having laparoscopic excision of deeply infiltrating endometriosis from September 2013 through August 2016 in a tertiary referral center for endometriosis and minimally invasive gynaecological surgery in Iran. Data collected included demographics, baseline characteristics, intraoperative and postoperative data up to 1 month following surgery. We analysed data from 244 consecutive patients, who underwent radical laparoscopic excision of all visible DIE. Major postoperative complications occurred in 3 (1.2%) and minor complications in 27 (11.1%) of patients. 80.3% of our patient group had Stage IV endometriosis. Segmental bowel resection was performed in 34 (13.9%), disc resection in 7 (2.9%), rectal shave in 53 (21.7%). Joint operating between a gynaecologist and colorectal and/or urological colleague was required in 29.6% of cases. The mean operating time was 223.8 min (± 80.7 standard deviation, range 60–440 min) and mean hospital stay was 2.9 days (± 1.5 standard deviation, range 1–11). The conversion to laparotomy rate was 1.6%. A combination of different laparoscopic surgical techniques to completely excise all visible DIE, within the context of a tertiary referral center offering multi-disciplinary approach, produces safe outcomes with low complication rates. Shaheen Khazali and Atefeh Gorgin have contributed equally to this work and will be equal first authors. All procedures performed were in accordance with the ethical standards of the Ethics Committee of the Avicenna Research Institute, affiliated to the Academic Center for Education, Culture and Research (ACECR) and with the 1964 Helsinki Declaration and its later amendments or comparable ethical standards (Ethical Committee approval number IR.ACECR.Avicenna.REC.1395.1). Informed consent was obtained from all patients included in the study. No minors were included in this study.